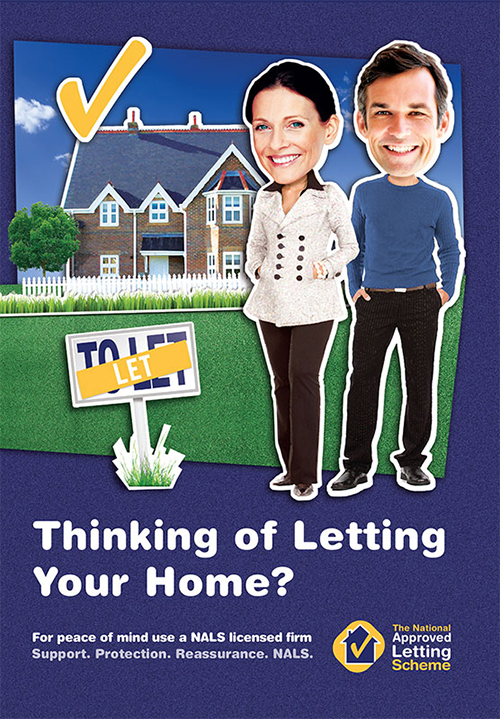 "When you decide to let your property, employing a good agent to handle the letting for you can give you peace of mind. You can trust a good agent to protect your interests by dealing responsibly with the procedures involved in letting and subsequent management. This means the tenancy should run smoothly. You can let a property under an assured shorthold tenancy which will allow you to get the property back empty, by giving formal notice, after the first six months of any tenancy has elapsed." Agents who have been licensed by NALS will provide a written agreement for managing your property, setting out the services they provide and what they will cost. You should agree the details before you employ them. " Please, for more information click on leaflet cover to the right.